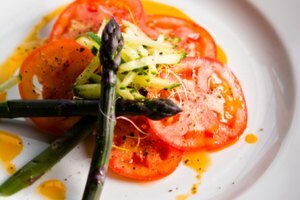 Fresh sugar snap peas, whether purchased at the store or grown in your own garden, are a treat to be served at any meal. Fresh sugar snap peas can be eaten raw or cooked, and while boiling is not the only way to cook the peas, it is the simplest method. With a bit of advance preparation, you can boil fresh sugar snap peas for dinner in less than 10 minutes. 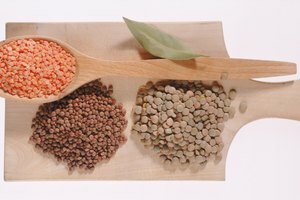 Wash the peas under cold running water to remove dust and debris from the pea pods. 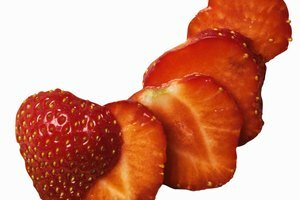 Use a sharp knife or kitchen scissors to remove both ends of the pods. Pull away any strings from the seams of the pods. Place the pea pods in a large saucepan and add 1/2 cup of water. Bring to a boil and cook for 2 to 10 minutes or until the desired tenderness is achieved. Remove the peas from the stove and, if desired, drain before serving. Store fresh snap peas in a perforated bag in the crisper section of the refrigerator for no more than 2 to 3 days. The longer the peas are stored, the less sweet they will become as the sugars turn to starch. 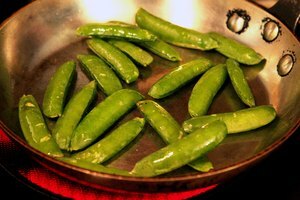 Sugar snap peas can also be steamed or used in stir-fry. Overcooking sugar snap peas can leave the peas with a mushy texture. 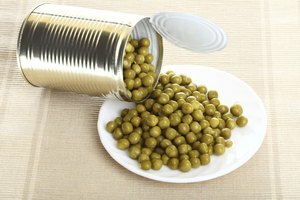 Overcooking also destroys the Vitamin C content of the peas. 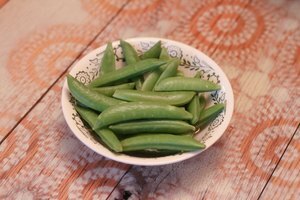 A quarter pound of sugar snap peas is considered a serving. When growing sugar snap peas in the garden, harvest the peas every two to three days for the best flavor and tenderness.